Westfields Business Owners Association (WBOA) continues its effort to pursue land use flexibility for planning alternative in the Westfields campus. As we have shared with the community, the WBOA Board of Directors has pursued approval of amenity-rich and appropriate residential mixes for Westfields through the approval of the “Preserve at Westfields” and “The Field at Westfield”(Wegman’s Retail Area) in 2015. 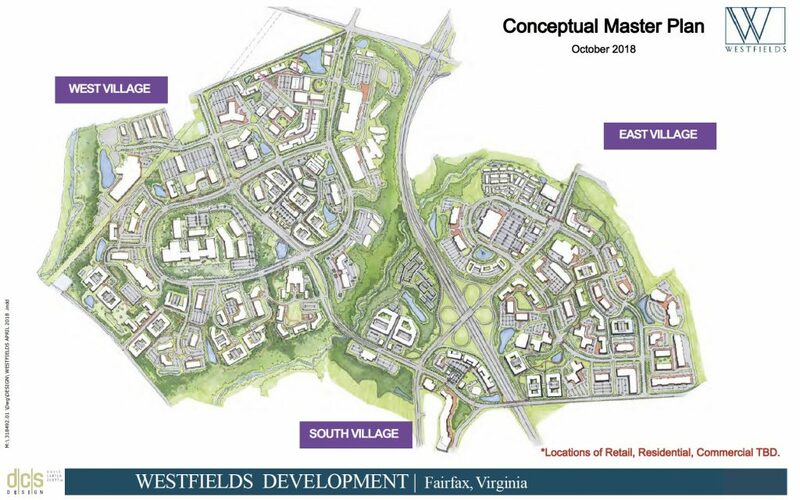 The WBOA Board also engaged independent external studies via the Urban Land Institute “What’s Next for Westfields” report in 2016, Participated in the Dulles Suburban Center Study (2016-2018) as well as embarked on an updated draft Conceptual Master Plan for Westfields (2018) to hone in and refine the recommendations of the ULI and to identify the unique challenges at Westfields. Westfields will continue to be supportive of smart land use planning to improve the future success of Westfields for all owners and tenants. Westfields would like this task force to consider an updated conceptual master plan that introduces residential and retail in appropriate areas throughout the park while keeping the existing and planned commercial development. Westfields is like a small town, we are aware that each area of the park is unique and has its unique requirements and challenges that will need to be addressed. What Westfields seeks is flexibility in planning throughout the entirety of Westfields as we reimage and build out a more vibrant place where people want to work, live, stay and play. Not every location will be ideal for a change of use but we hope by providing the flexibility in land use planning we collectively make Westfields a unique and special community attracting, and retaining the very best companies, employees, and residents.